This is the true story of a marginal handloom weaver who refused to accept his lot; one who had talent and was willing to try for a better life. Master weaver Bimal Bairagi comes from Gobar Char in Shantipur – that ancient handloom hub steeped in the highest traditions of weaving exquisite Bengal handloom sarees. Gobar Char (pronounced gaw-bar chawr) is a low lying settlement at the southernmost tip of Shantipur by the side of River Bhagirathi (Ganga). Life here can be a cesspool of adversity, literally and otherwise. 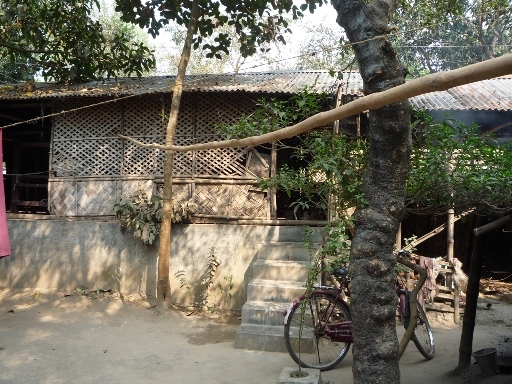 The weavers’ workshops in Gobar Char are built on raised platforms to escape oncoming flood waters during the monsoon. Gobar Char and poverty go hand in hand. There are no prosperous “mahajans” here. The handloom weavers have formed a number of Self Help Groups, but most work individually for mahajans of neighboring Fulia. They have the requisite high level of skill required for weaving Fulia sarees but not the wherewithal to strike out on their own. 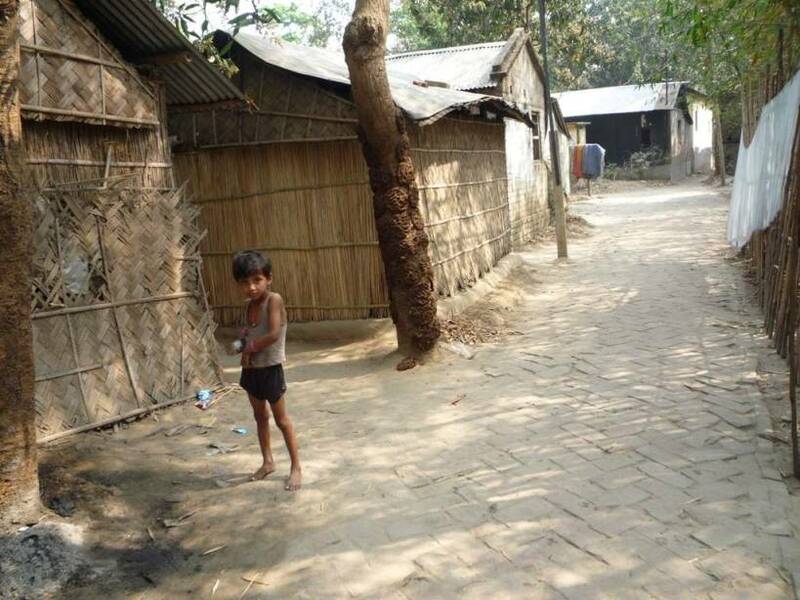 But more than the abject poverty, what they feel bad about is that they are kind of second class citizens in the handloom saree weaving fraternity of Shantipur and Fulia. The weavers of Gobar Char are in a peculiar situation. They do not belong to the weaver caste. Most have taken to weaving as just other mode of livelihood and have been at it hardly for a generation or two. 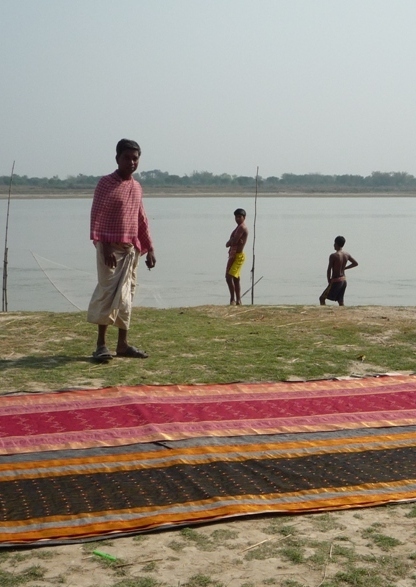 For the weavers of Shantipur who have been engaged in handloom weaving for umpteen generations, that is a cardinal sin. They treat their brethren from Gobar Char with ill-concealed derision and contempt. 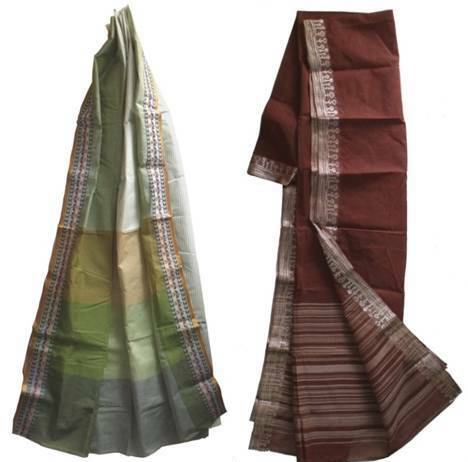 When I approached Bimal to develop samples for Shantipur Integrated Handloom Cluster under the aegis of Ministry of Textiles, Government of India, he was in two minds. Even after I explained that all expenses of sample development would be borne by the Cluster, he was not too sure. 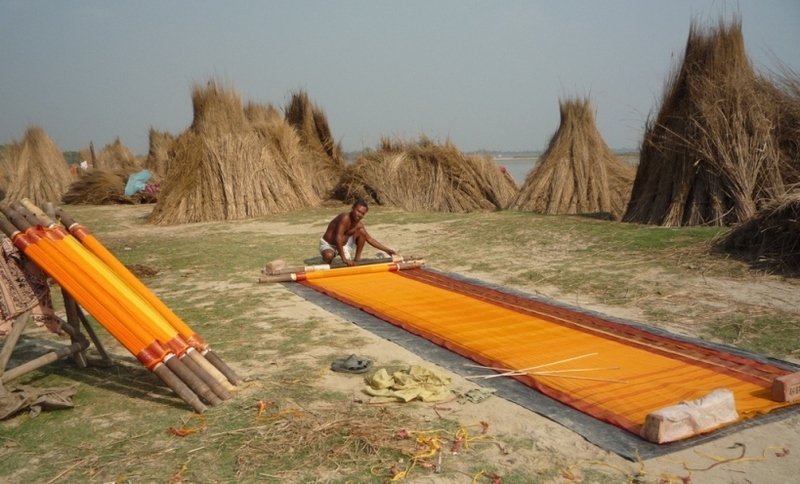 Then I began to explain in minute detail what overheads meant, how the weavers of Shantipur do not take into account many elements of cost, and that the Cluster was willing to pay the whole cost, including all overheads. Soon Bimal was ready to weave samples. Bimal has so far developed 5 samples (three in silk, two in cotton) and is busy with the 6th. He has already bagged orders for an initial batch of 210 cotton handloom sarees, and there’s a lot more to come. For the first time in his life he is the entrepreneur rather than a nameless worker. And he had his sweet revenge when mainstream Shantipur weavers admitted they could not improve on the quality of the samples Bimal wove. Because he puts his heart and soul into weaving, Bimal Bairagi is going to be a very busy man for a long time to come. In fact, he has realized that he has to supervise weavers from his SHG working for him on a number of looms, while he himself can only weave samples for experimentation and order procurement. What set Bimal Bairagi apart was his ambition to overcome social ridicule and scorn from caste weavers, more than the clutches of poverty. The exposure to buyers has boosted his self confidence. He feels he can make it to the big league, whereas he was a marginal weaver just a few months back. We need to replicate his unfolding success story at a much larger scale. The problem of course is daunting. But it is not insurmountable.